Kinetic sculpture in Cathedral of St. Mary of the Assumption, San Francisco, California. 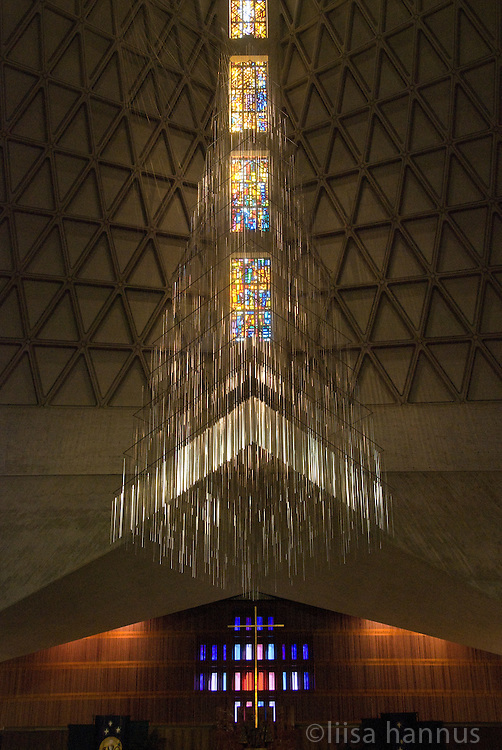 A kinetic sculpture by Richard Lippold sits above the altar at Cathedral of St. Mary of the Assumption, San Francisco, California. Fifteen stories high and weighing one ton, this modern piece consists of 14 tiers of triangular aluminum rods.